When you try to buy futsal gloves on the internet, there isn’t a huge amount of choice. 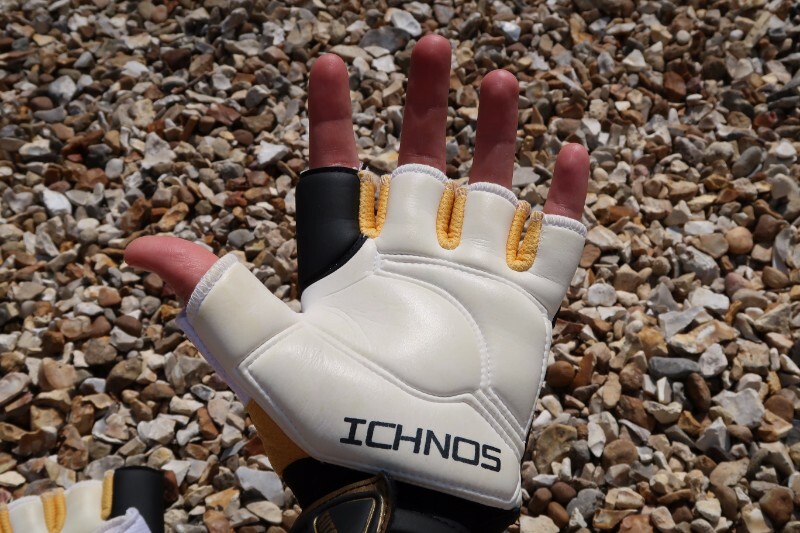 Maybe that’s why I initially decided to give the Ichnos futsal glove a go. And in short, I’m glad I did. If, like me, you’ve never heard of Ichnos, they’re a family-owned company based in Lincolnshire, UK. 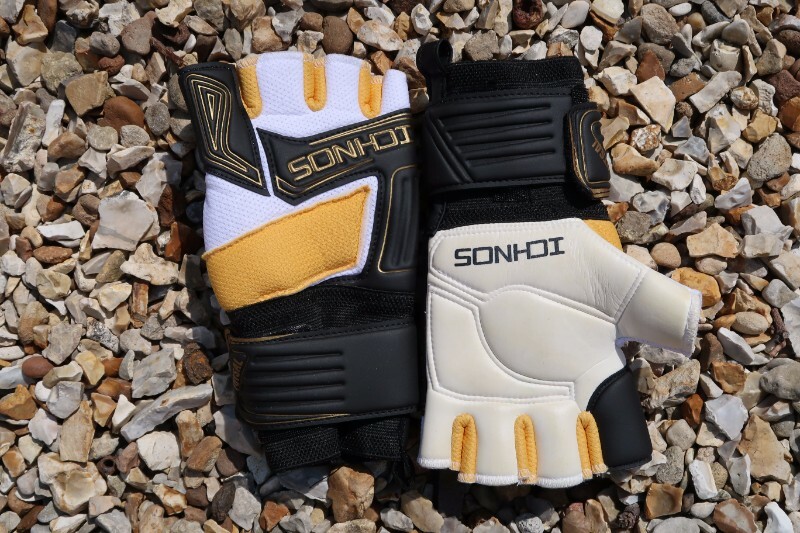 They’re a reasonably small outfit but, having had some success making goalkeeping gloves, they’ve now branched out into making their first futsal glove. 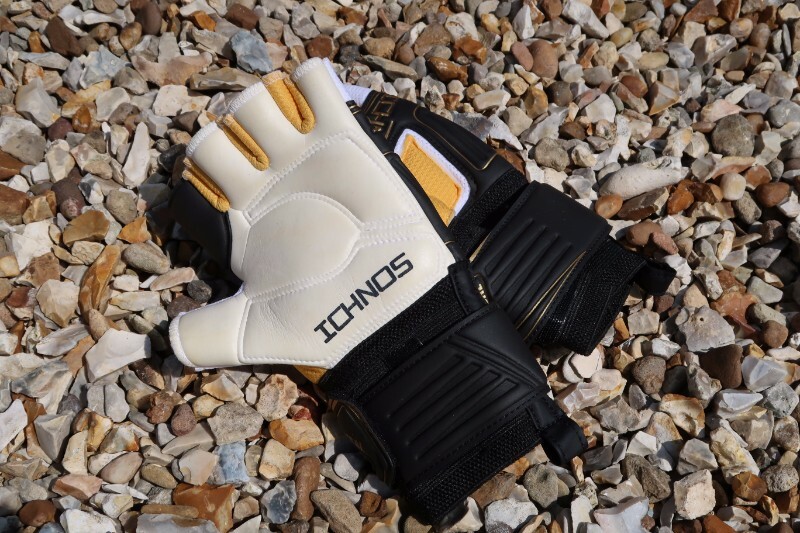 Priced, at the time of this review at £18 plus £3 post and packaging, the pricing puts it in the more competitive end of the mid-range gloves. The gloves come in a simple Perspex carrier, and there aren’t any particular thrills about the packaging. The attention is forced instead onto the glove itself. Like all futsal-specific gloves, it’s a fingerless design. The reason why you don’t want your fingers covered for futsal is so that you can get a good grip on the ball (by digging your fingers into the seams) when you’re distributing it. If your gloves had fingers you wouldn’t get this same level of touch and control, which is all important if you’re trying to distribute the ball with precision. It’s a well made glove and I didn’t find any instances of loose stitching. A well made glove like this should be fairly durable and last for a while. The other thing that makes a difference to the durability is the thickness of the latex and, on this glove, the latex comes in somewhere around 4mm, which is quite thick. A good, thick level of latex on the palm will really help take the sting out of shots that are fired at you. Lots of people like a good thickness of latex for this reason, although you should be aware that the thicker the latex is, the harder it is going to be for you to get a good grip on the ball when you’re throwing it. It’s a trade-off between protection and control, with this glove favouring the former. 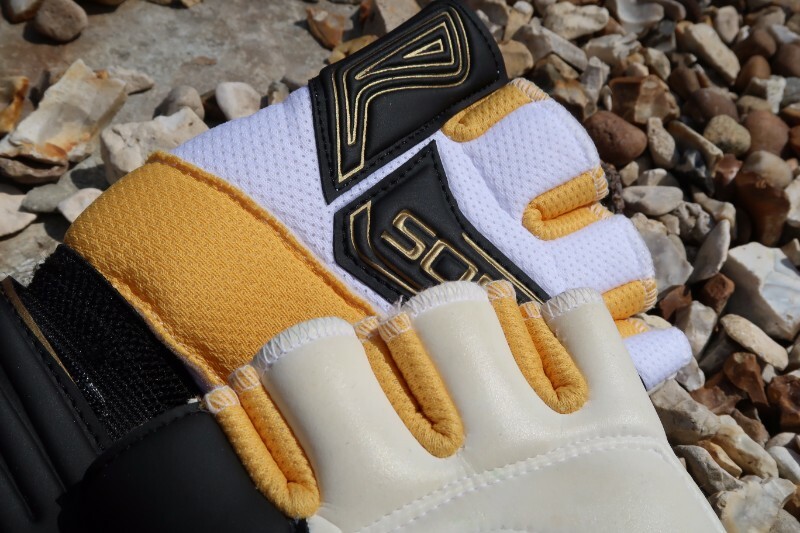 The mesh on the back of the hand, which should allow for some air to circulate and should help minimise the sweatiness in your goalkeeper glove. The general sturdiness of the glove, including the wrist strap, which comfortably and tidily goes round wrists (even slimmer ones) to provide support. The latex palm is backed by a layer of fabric, which gives additional comfort and protection. Some of the cheaper gloves allow the palm to go straight on to the latex. In terms of sizing, the glove comes in all the usual adult sizes. 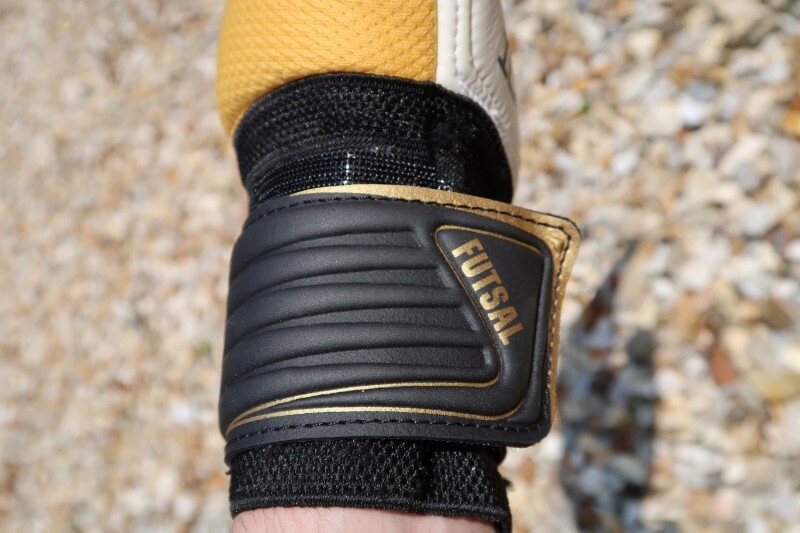 When you’re choosing a futsal glove, you need to focus primarily on getting the right width of the palm, as you fortunately don’t need to worry about the length too much as it’s fingerless. Design-wise, you can make up your own mind of whether you like the look. In our view it’s not garish or wild, but there is still a reasonable amount of interesting detail which will look fairly good on your hand. Still, it’s a glove that you buy for the quality, rather than the look or the name. Overall this is a very solid futsal goalkeeper glove that we’d happily recommend to keepers looking for a well-made mid-price futsal glove. * Note: this is an independent review. 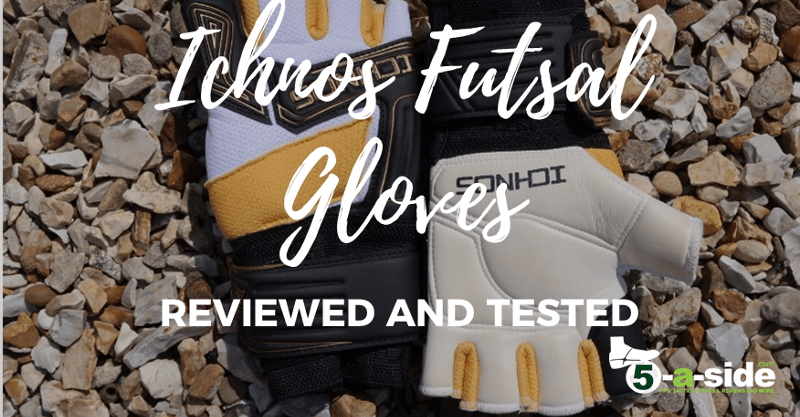 The gloves tested were purchased by 5-a-side.com and no free sample, remuneration or ongoing relationship exists between this site and the manufacturer.